3 bedroom 3 bath Twin home. Open floorplan, stone gas fireplace, main floor master and laundry. Upper level loft can be used as 3 bedroom or bonus room. Beautifully land scraped grounds. Walk out your patio door to your boat slip. Many recent updates including stainless steel appliances, granite kitchen countertops, light fixtures, and fans, new high efficiency furnace and 30 year shingles new dock was installed in 2015. 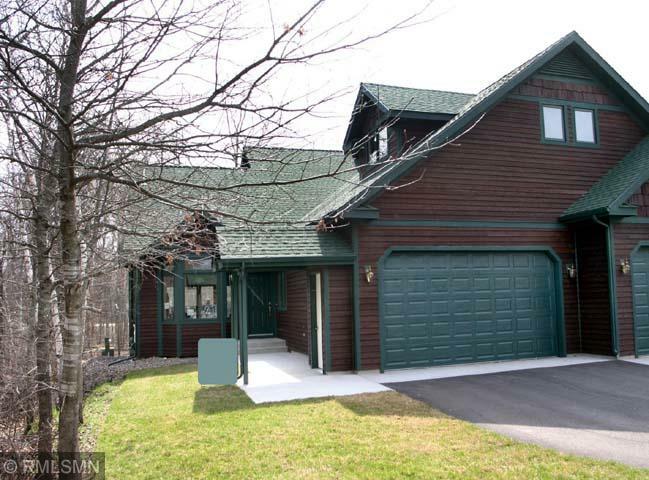 Close to all the Crosslake amenities.